Today, I bring to you a fabulous company called Cricket & Monkey. This is actually a company that was started by a Grandma. Isn't that cool? Karen Stein created Cricket & Monkey when her grandson was born and she couldn’t find anything she wanted to buy. Using a strong eye for color and texture paired with a design and manufacturing background, she has successfully created a baby line that stands out from the rest. Karen has years of experience in manufacturing and product development. She has worked as a design consultant, owned retail boutiques and taught at the Fashion Institute of Design and Merchandising. She is a proud grandmother of two whose nicknames are, what else? Cricket and Monkey. There are very fun and adorable diaper bags available on this website as well as blankets and bibs. Here's one that I was able to check out. This is the Logan Messenger in the "Monkee" print. I love how bright and colorful it is. Isn't it sweet? There are bottle pockets on both sides with magnetic snaps. This picture doesn't show it very well, but there are 2 big pockets on the front of the bag. That are perfect for mom's things. Speaking of pockets, there are all sorts of pockets on the inside, a big pocket on the back of the bag, and a handy hook on the inside for your keys. On the bottom of the back are 4 metal "feet" to keep from wear and tear. I think this bag would be handy for any mom to carry. Not only is there a place for everything, but there's ROOM for everything too. :) That's a definite plus. Please check out the Cricket & Monkey store and see if you find something you love too. Cricket & Monkey want one of you to win a $25 giftcard to spend how you wish!! Go over to Cricket & Monkey and shop around. Comment with something OTHER than the Logan Messenger and your e-mail address for your first entry. *Please leave a separate comment for each entry. This contest IS NOT part of the 12 Days event and will end on Saturday, November 22 @ 8:00pm ET. The winner will be announced and contacted by e-mail. I will wait 3 days before moving on to the next winner. I love the Play/Travel Mat! I really like the diaper bags, gorgeous! I also liked the Phoebe Diaper Clutch and my favorite design in those would be the chocolate poppy one. Thanks for another great contest, don't forget to come by my site starting Monday!! I like the Sammie Cosmetic Bag's, too cute! Thanks for the chance! i am obsessed with cosmetic bags and the ones she has on there are adorable! the animal zoo one is my favorite! I like the cozy large blankets and the 16 choices of designs. I love the diaper clutch. I subscribe and your button is on my page. I love the Cozy Blanket Small in the Chocolate Poppy pattern. The blankies are small enough for the stroller without worrying about dragging! Loving the bubble dots blanket in pink!! 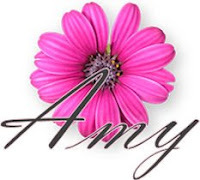 Thanks so much for the chance Amy! the play/ travel mat is great! how cute is the shower bag! it is the perfect gift!!! am i supposed to tell you?? I like the diaper clutch. My little one is getting ready to start potty training and this would be the perfect size to carry for accidents! CUTE!!! i LOVE the blue and brown spots blanket! Thanks! I would love the Play/Travel Mat. The 12 Days of Chirstmas button is on my side bar. i love the skylar diaper bag set! I love the Madison tote in Honeycomb! I love the diaper clutch. I don't need diapers anymore but I am sure I could find something to put in there! I love love love the classic patchwork blanket!!! I like the travel/playmat and the Phoebe Diaper clutch. thanks for the giveaway! Your button is on my blog. Thanks! The spots blanket in pink, brown, and green is adorable!! The shower bag is great! I love the monkee print and it would be perfect for my best friend who is doing a monkey theme for her baby due in December. She loves bright colors so I know she'll like it. I would love to get her the large play/travel mat or the large blanket. I also think the Izzie Print on the Go would also be great for the new baby. Thanks for such a great giveaway and showing me a new store. I'm also subscribed so I don't miss any of the 12 days of Christmas. I love the Owl Play/Travel Mat!